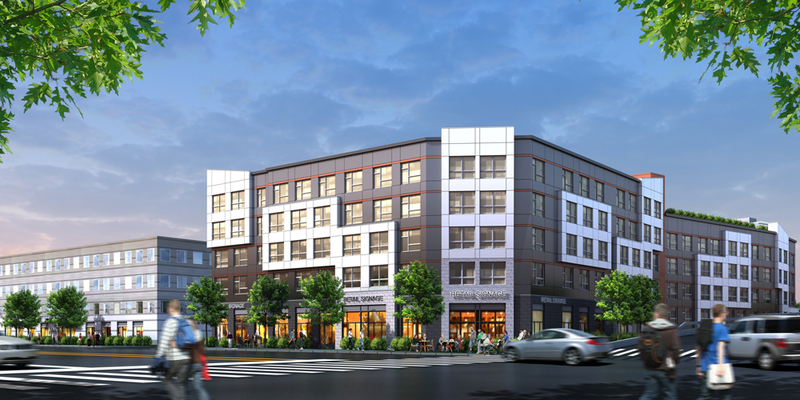 1401 Kings Highway is a recently approved, transit oriented, mixed-use development project located directly adjacent to the Fairfield Metro Center train station in Fairfield, CT. 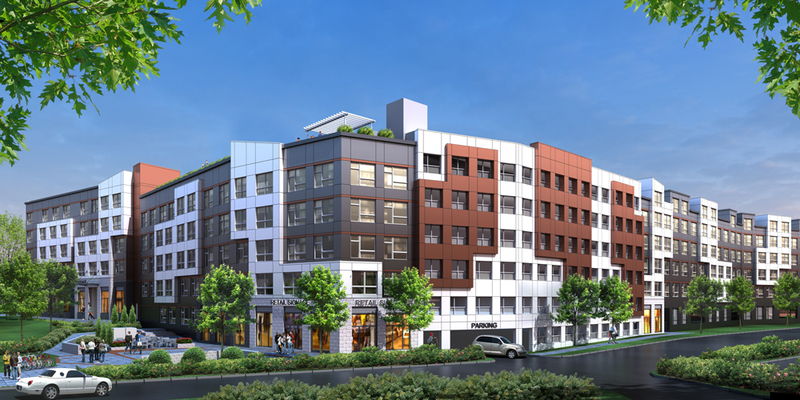 Designed as a sister project to Trademark Fairfield, the project is driving to meet additional residential demand for apartments in Fairfield and will act as a landmark to what has quickly become, a vibrant, pedestrian-friendly, transit-oriented neighborhood. Municipal approvals were obtained in March of 2018 and a break ground date is expected by late summer/early fall of 2018 with completion targeted for the summer of 2020. 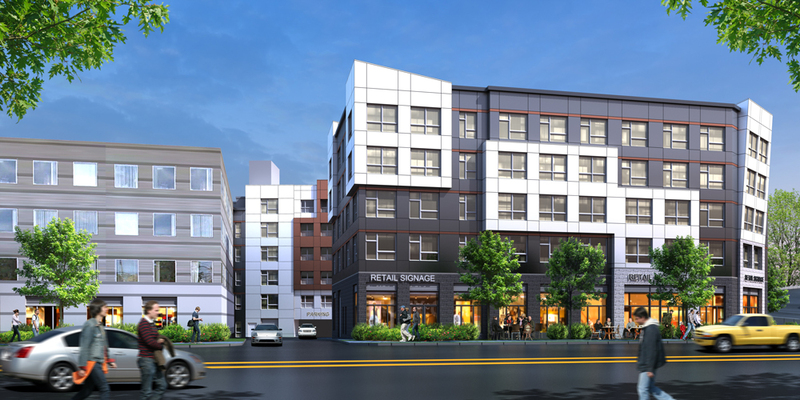 The building includes 12,965 square feet of retail on the 1st floor, 160 residential apartment units located on floors 2-5 and 610 parking spaces. 510 of the 610 spaces are located in a structured parking garage that will be managed 24-7 and utilized across a mixed of uses located on the site and in the neighborhood. The residential units will each feature 9ft ceilings, oversized windows, central heating/cooling, stainless steel appliances, and in-unit washer/dryers. Common area amenities will include a clubhouse, fitness center, outdoor plaza with outdoor bar, fire pit, and permanent barbecue grills, private conference room, bike storage, electric car charging and a rooftop amenity deck overlooking Long Island Sound. 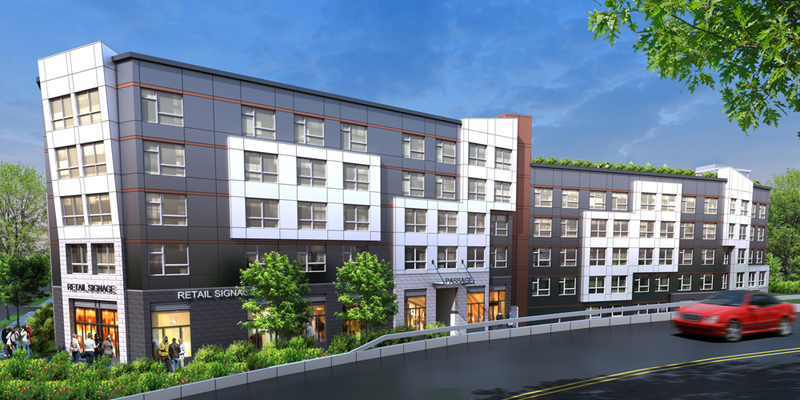 The rooftop deck will feature large screen televisions, an outdoor bar, raised garden beds for tenant’s “urban farming,” and aerial views of Long Island Sound.